Cadyshack never gets old right? Cops (and assistant ground keepers) deal with all kinds of animals- everything from goats to eagles to even llamas. 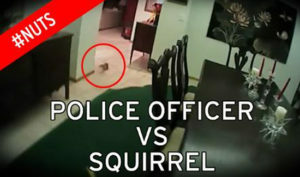 But it’s not often that cops have to face off with a squirrel cookie thief. 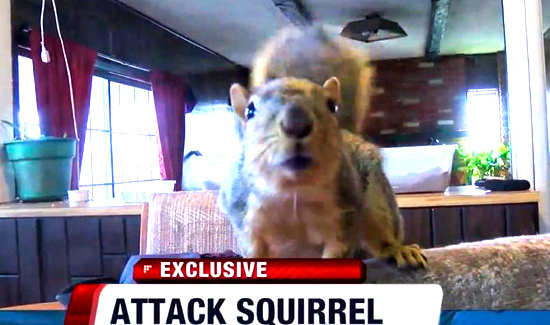 From WABC in New York: “Police in Brockport, New York were called to help with an uninvited squirrel inside a home. 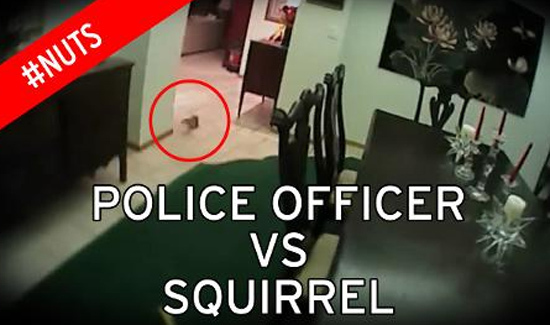 The squirrel ran all over the place, but eventually officers were able to catch it. The rambunctious rodent was released outside, and no one was hurt.